The lead single off the second, best and alas last album from Girls Father, Son and Holy Ghost was called “Vomit” (reviewed earlier here). 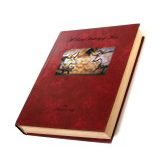 The title refers to a Bible story where a thief’s need to return to the scene of his crime is compared to a dog’s compulsion to examine its own vomit. This seems to be the only possible explanation as to why it is that Woody Allen keeps going back to make yet another film. It would all make sense if the reason he were in such a hurry to produce a new film every year was because the last few had been so disappointing. That’s what made his last film, Blue Jasmine (reviewed earlier here) so refreshing. It suggested the beginning of a new phase. 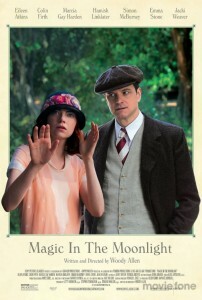 His latest, Magic in the Moonlight is sadly more of the same, and we’re back where we were. Since his last genuinely funny comedy, Bullets Over Broadway in 1994 Allen has made 20 films. That’s one a year. And the only two that merited watching all the way through were Sweet and Lowdown in 1999 and Match Point in 2005 – Vicky Cristina Barcelona (’08) doesn’t count. You could film Javier Bardem, Scarlett Johansson and Penelope Cruz pairing their toenails and it would still be electrifying. What you think of his latest film will depend on whether you’re old enough to remember how exciting the prospect of a new Woody Allen film used to be. Annie Hall (’77), Manhattan (‘79), Zelig (’83), The Purple Rose Of Cairo (’85) and Crimes and Misdemeanors (’89) are all serious, substantial, significant films. And they’re funny. The last time I laughed during a Woody Allen film was Bullets Over Broadway. It’s not as if they’ve become more serious. On the contrary, they’re ever lighter and more and more insubstantial. And they’re less funny. All of the themes that were once explored, painfully, are now breezily ticked off, as if on some sort of existential shopping list. Poor old Colin Firth and Emma Stone in “Magic in the Moonlight” doing their best. Ironically, the only thing that make his films watchable these days are the cast he still manages to attract. 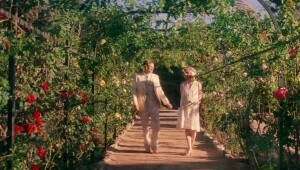 Everybody used to fall over themselves to be in the new Woody Allen film because the scripts were so good. They still do. But the scripts are so sloppily cobbled together these days that were it not for their stellar casts, they’d be unwatchable. None of which will bother you if all you are looking for is a poor man’s Downtown to watch on your new iPhone, as you keep your eye on Strictly leafing through the Sunday papers as you check your messages. As ever the cast are all exemplary, considering. 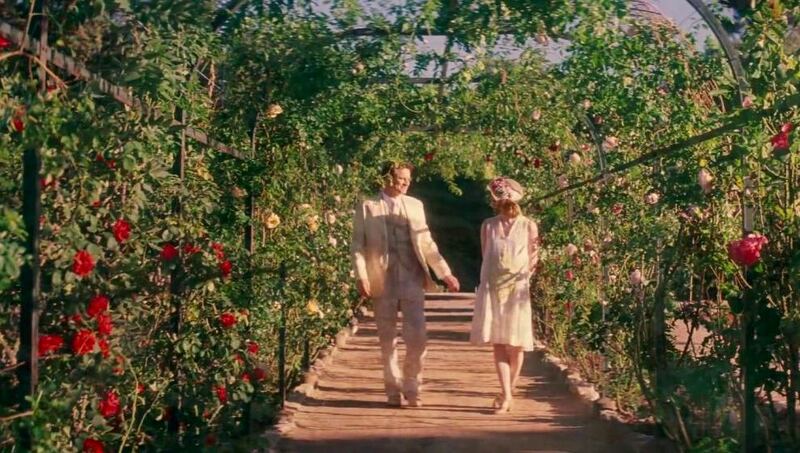 But for the rest of us, Magic in the Moonlight makes for decidedly depressing viewing. 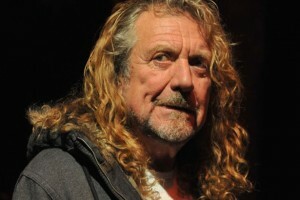 The New U2 Album, Robert Plant and Staying Relevant. 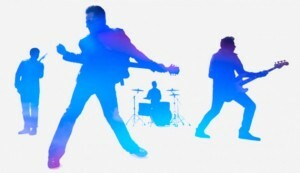 Veteran U2 fans have long greeted the launch of a new album with increasing trepidation. Last week was, alas, more of the same. Their latest, Songs Of Innocence, sounds like the album from a Broadway musical, celebrating the youth of a 90s rock band. The tracks might very well be, as the band keep telling us, a collection of intimate, personal songs, but they sound like they are being performed by a U2 tribute band. Some of the riffs have been lifted clean off of the Joshua Tree. 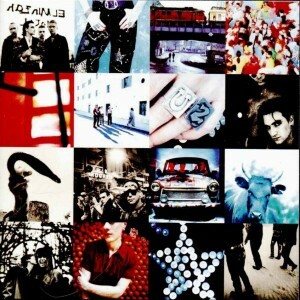 U2’s problem has always been Achtung Baby (’91). Which wasn’t just a seismic leap forward for the band at the time, it was one of the seminal albums of the decade. The problem then is, how on earth do you follow it? Zooropa (’93) and Passengers (’95) was the sound of band grappling with what to do now that they’d become the global phenomenon they’d always dreamt of. You could hear them intently listening to what was going on around them trying to feel their way forward. All That You Can’t Leave Behind (‘00) was a very pleasing collection of conventional singles, but was tacitly understood as a brief hiatus. But the three albums over the 14 years that have followed have proved wholly unremarkable and have merely provided the band with more-of-the-same to perform live with. So why not be done with studio albums for good? Because a live band is essentially what they’ve become. It’s perfectly acceptable in the worlds of RnB, blues and jazz to stop feverishly producing new material, and to spend your latter years re-examining your cannon, concentrating instead on producing the kinds of live performances that only come with age and experience. What’s the point of further adding to an already impressive back catalogue with mass produced, sub-standard, replica copies? Incredibly few bands manage that perilous balancing act of filling vast stadiums and of producing quality albums of genuine substance. U2 were one, Led Zeppelin were another. Amazingly, Robert Plant turned his back on the peerless 70s hell-raisers in 1980, and has been quietly ploughing his own furrow ever since. His musical wanderlust has seen him exploring the roots Americana of the deep south, and of where all that came from in the music of west Africa. Unexpectedly, if quite correctly, he burst into public view again in 2007 with his Alison Krauss collaboration Raising Sand, which won the Grammy for Album of The Year in 2008 and sold by the tonne. Lullaby and… The Ceaseless Roar. Band of Joy followed in 2010, proving for those not in the know that Raising Sand wasn’t a blip but part of a fully formed renaissance. 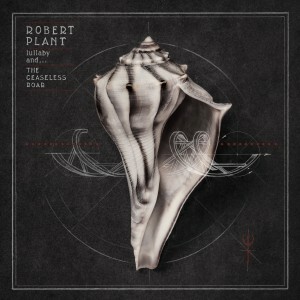 And now he’s back with another new band (part of an old one actually), with his latest album, Lullaby and… The Ceaseless Roar. The Sensational Space Shifters include members of the Strange Sensation which he formed over a decade ago. He’s joined by both the keyboardist and bassist from Portishead, as well as Justin Adams, a producer who’s worked with Brian Eno and, more recently, the blues Tuareg band, Tinawiren. That’s how you stay relevant. Musically inquisitive, revealing, probing and plaintive, it gets an approving 7.0 from the boys from Pitchfork here. And could easily have got more. 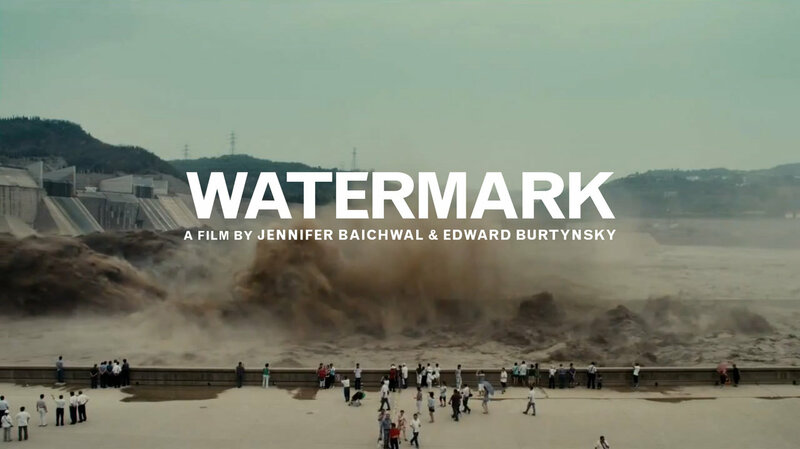 Sumptuous documentary “Watermark” a striking visual essay. It was inevitable that the equivalent of the Slow Food movement would materialise in the arts. And sure enough we’ve recently seen the return of the Big novel, indeed the Big Victorian novel. Long form essays and journalism are increasingly visible, and you can still buy your album on vinyl or for that matter cd. 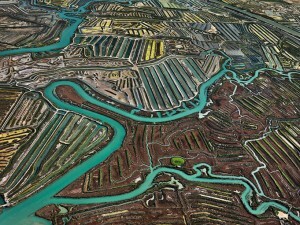 Watermark, the new documentary from renown Canadian photographer Edward Burtynsky is very much part of that trend. 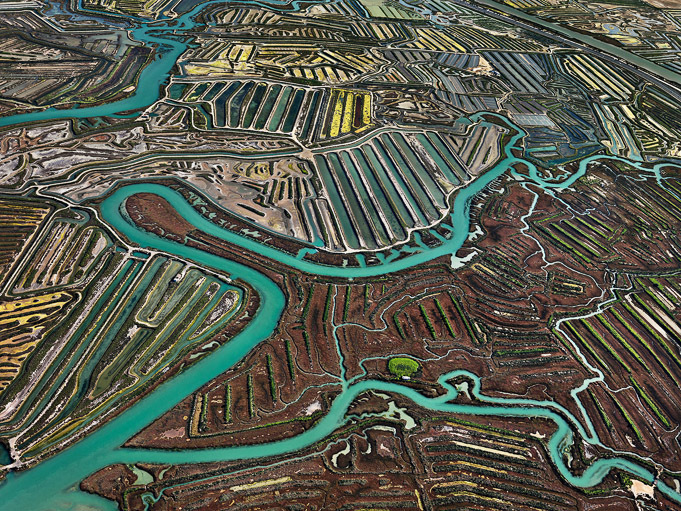 The title refers to the mark water has left on our lives and the way that it has shaped every contour of every surface that those lives are lived out on. Indeed, it is literally life. But it’s also a subtle reference to the transparent stamping of documents and bank notes that are thereby confirmed as being authentic. This film is very much a repost to all the CGI, and that tedious, pathological fear that all film, video and ads have of ever allowing a single frame to be left undisturbed for anything more than a second or two. Before the ADHD-fuelled need to frenetically interrupt it with the next even more urgent frame kicks in. And so on ad nauseam. 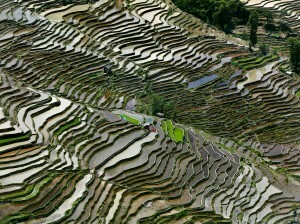 These impeccable and occasionally breath-taking images have been precisely, indeed lovingly constructed and carefully ordered to convey an idea. It’s not hard to imagine what that idea is. He’s Canadian after all, and he’s talking about what the human race has done with its most precious resource. Happily though, the film never berates or lectures. It doesn’t have to. The pictures speak volumes. The obvious reference point is Godfrey Reggio’s magisterial Koyaanisqatsi (’82). 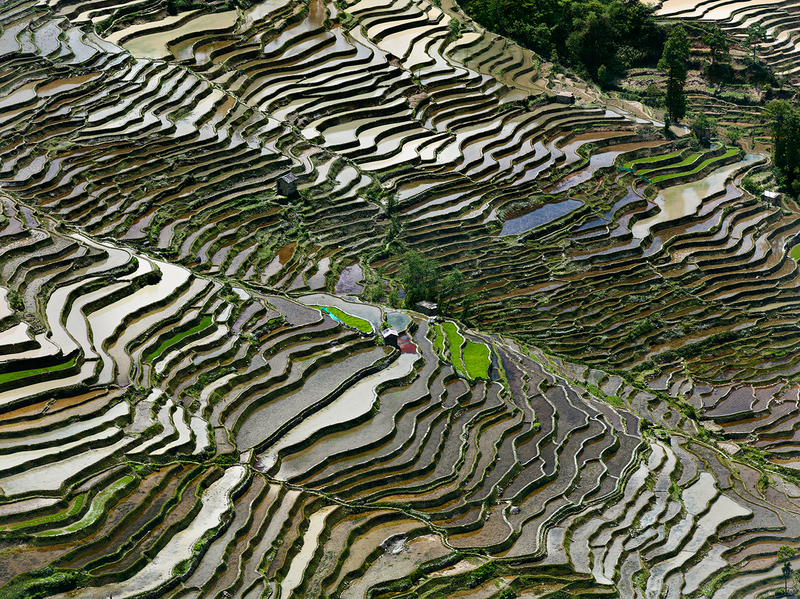 Watermark is neither quite as ambitious nor as demanding, which is both a good and a bad thing. It’s not as hypnotic or as grandiloquent, but it is a lot easier to watch. You’ll not need to be in the ahem right frame of mind to enjoy it. But it does similarly pull off that unusual balancing act of being spectacular, even joyous to look at, whilst being quietly depressing to think about. Here’s the trailer to Watermark. And to Koyaanisqatsi. 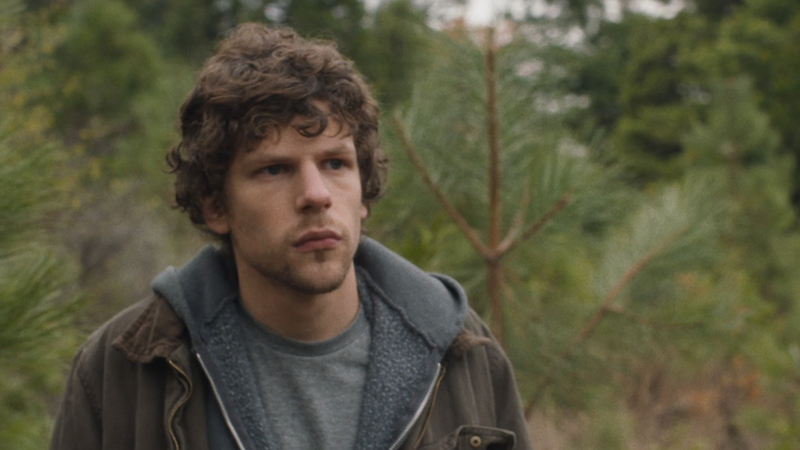 Jesse Eisenberg in the Unconventional Night Moves. Jesse Eisenberg in Night Moves. Kelly Reichardt is one of the few interesting film makers working in America today, and Night Moves is her sixth film. She first arrived albeit very quietly with her third film Old Joy in ’06, which “stared” Will Oldham, as much as anything could be said to star him. If you are familiar with the pensive, quietly introspective yet keenly perceptive music that Oldham has been making for well on two decades now, you’ll have a good idea of the sort of terrain that Reichardt’s films map out. 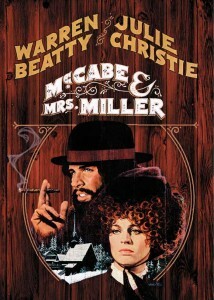 After Wendy And Lucy in ’08 starring Michele Williams, she teamed up with again Williams in 2010 for the decidedly off kilter western Meek’s Cutoff. 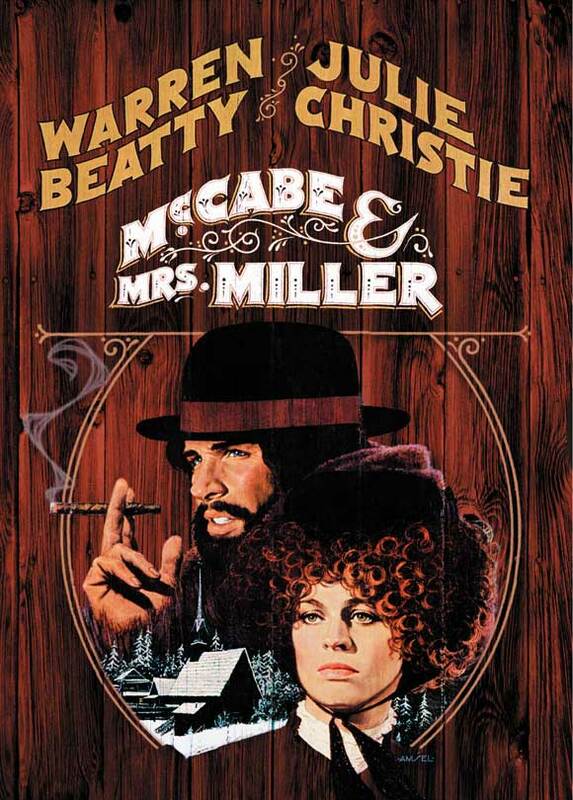 Austere and determinedly unconventional, this is the kind of non-western that makes McCabe and Mrs Miller look The Magnificent Seven. Her latest film, Night Moves is similarly contrary in its rejection of conventional narrative. 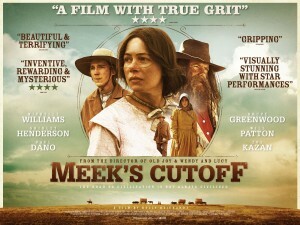 Gone too are the beautifully constructed vistas of Meek’s Cutoff. We are in the decidedly humdrum world of ordinary people trying quietly to stand up for what they believe in. What makes the film compelling, as compelling as a film that eschews conventional narrative can ever be, is that what they choose to do in defence of their beliefs is highly questionable. And, even more interestingly, it’s far from clear quite how cleanly held those convictions are. Jesse Eisenberg is the eco warrior who teams up with Dakota Fanning and Peter Sarsgaard to do something that will draw attention to what it is that we are all doing to the planet. She has the funds and he has the expertise. But the two men are clearly just using her for their own different ends. Whilst she’s so visibly damaged she’s all too easily led. Inevitably their plans begin to unravel, and the second half of the film focuses on the always compelling figure of Eisenberg, as he sinks into a Dostoyevskian fog. The sound of every approaching car is amplified, and everyone seems to be looking at him in a funny way. Reichardt’s contribution to the genre. Given what preceded it, the film takes a slightly surprising turn in its third act, which isn’t a disaster, but neither is it wholly convincing. But that only slightly detracts from the film as a whole. Night Moves is a pleasingly unusual film, and a welcome antidote to all that CGI saturated noise that pollutes so many of our cinemas. And Reichardt is a name to watch out for. You can see the trailer to Night Moves here.